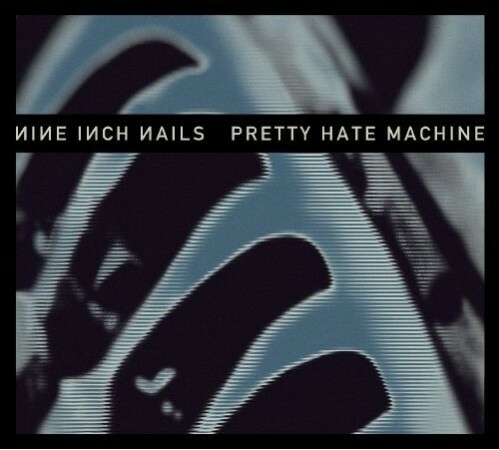 Anyone who’s familiar with Trent Reznor and Nine Inch Nails’ body of work can most probably tell you that 1989’s debut Pretty Hate Machine entirely stands in a league of its own. Conceived during downtime working nights as the midnight janitor and handyman in a Cleveland studio, Reznor created a demo that would eventually go on to become a masterpiece and arguably the best Nine Inch Nails album to date. This album is angry. The music is dark, the lyrics are darker, and Trent is clearly not shy of letting the world know just how completely pissed he really is. But if anyone has ever been put to the test of taking their anger and converting it into something so melodic, so captivating, and making it accessible to millions, Trent Reznor clearly trounced all odds. Pretty Hate Machine in a sense was a cross over album that tied together the industrial music scene (Ministry, Skinny Puppy), with those who preferred dance and synth pop (New Order, Erasure) at the beginning of the 90s. Somewhat in the same form that Nirvana’s Nevermind found common ground for the hard rock, punk, and new wave groups a few years later. As flawless as an album Pretty Hate Machine still is after 20 years from it’s original release date, many would argue it definitely sounds dated and lacks the oomph and intensity compared to its successors. If you’ve ever seen Nine Inch Nails live, you will have noticed PHM songs are completely rejuvenated and sound refurbished compared to how they were originally put to tape. It's almost as if Trent is trying to correct what he had originally set out to do. Comparing the original recording to the remaster, the first things you’ll probably do is make an extreme volume adjustment. This album is loud. Not only has the entire arrangement been amplified, but you’ll notice a ton of goods you never knew existed; backing vocals, pronounced nuances, cleaner overall effects, etc. The differences are apparent all over the album, but tracks such as “Terrible Lie”, “Ringfinger”, and “Head Like a Hole” are runaway standouts. I also defy anyone to find another band that can cover a song and make it better than the original. NIN have done just that with their take on Queen’s “Get Down Make Love” as an added bonus track that was only ever available on the Sin single until now. Remastering this classic was not only long overdue (mostly due to legal reasons), but very much essential. It’s not just another holiday cash grab that you so frequently see this time of year either (I’m looking in your direction, Lennon/McCartney). If you own the original, just toss it. The remaster does the album proper justice and really is the way this recording is suppose to sound. Best of all, it'll allow you to relive that excitement of hearing it as a brand new album all over again.